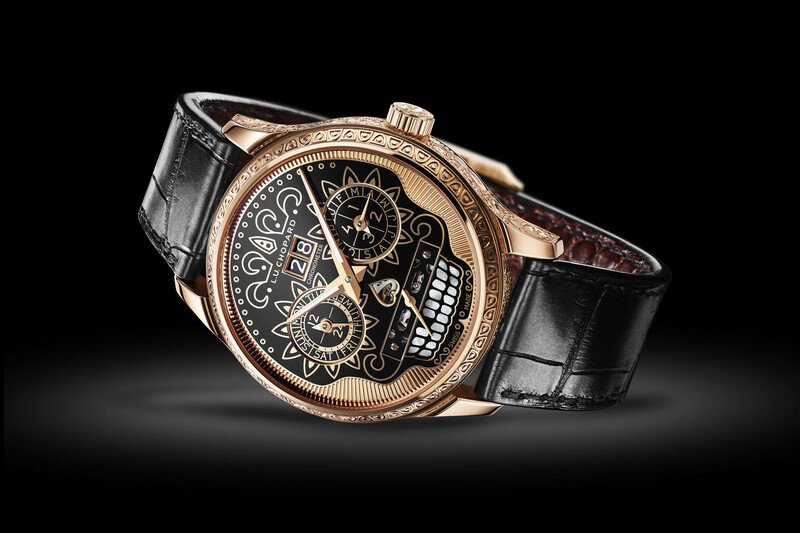 A one-off gold perpetual calendar tourbillon with Mexican motifs associated with the Day of the Dead. Sold in just six minutes, Chopard’s L.U.C T Spirit of “La Santa Muerte” is an opulent tribute to the festive spirit of Mexico’s Day of the Dead celebrations. 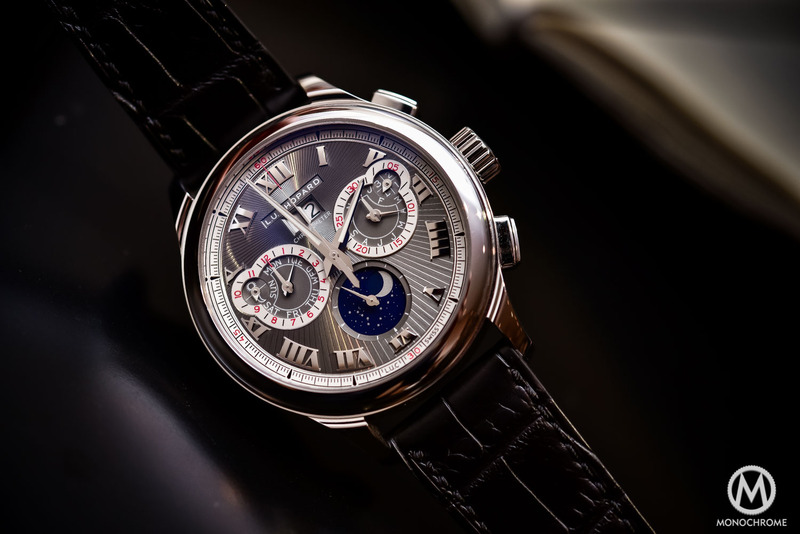 Unveiled during the 12th edition of the Salon Internacional de Alta Relojería (SIAR) – the most prestigious watch show in Latin America showcasing 40 plus brands – Chopard’s unique timepiece was snatched up by a collector in minutes. 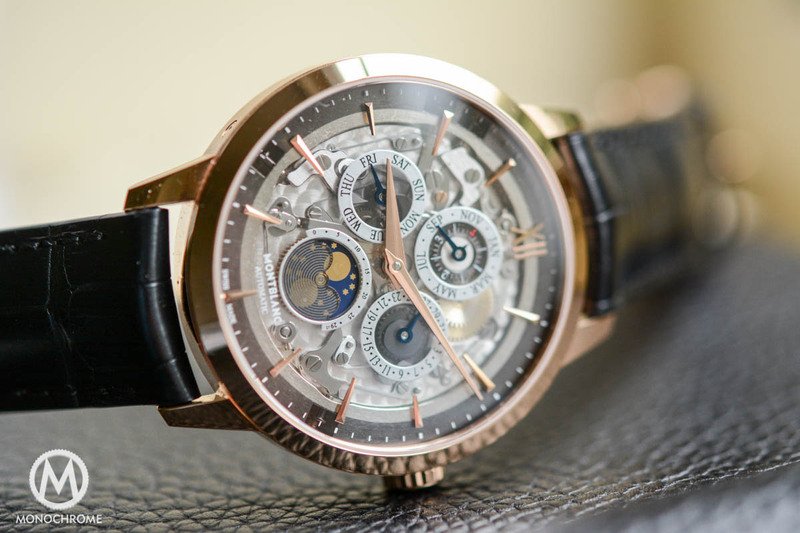 Crafted in 18k rose gold, with hand-engraved motifs on just about every surface of the case, the grinning skull on the dial steals the show and has been ingeniously designed to host the perpetual calendar complications and reveal details of the tourbillon. A joyful celebration of death that lasts for several days, Mexico’s Día de Muertos has survived from pre-Columbian times. Over a period of 3 days (October 31- Nov 2) Mexicans go to cemeteries to decorate the graves of their dead with bright orange marigolds, papier-mâché skeletons and sugar skulls, animating the gathering with music, singing and tequila. Death for early Mesoamericans was not associated with Catholic notions of heaven and hell and souls were allotted their place in the afterlife according to the type of death they had -hence the importance of a festive burial and annual remembrances. Motifs associated with the Day of the Dead are beautifully relayed in the hand-engravings featured on the 43mm rose gold case of the watch. 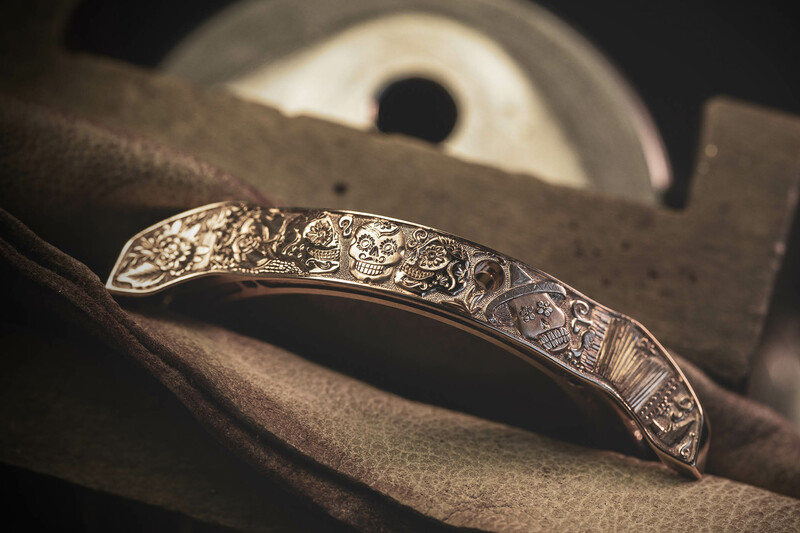 Guitars, grinning skulls, skeletons, flowers and even an accordion decorate the casebands, while the sloping side of the bezel features an abstract geometric motif that you might well find on a pyramid. 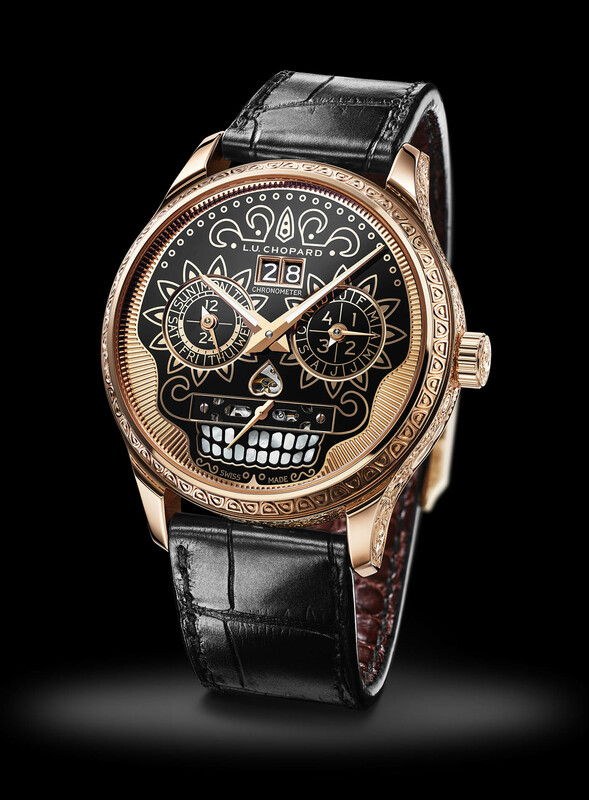 The iconic Mexican Calavera or skull on the gold dial is also hand-engraved, varnished in black with mother-of-pearl teeth (one tooth is missing!) and surrounded by hand-guilloché ribbing. 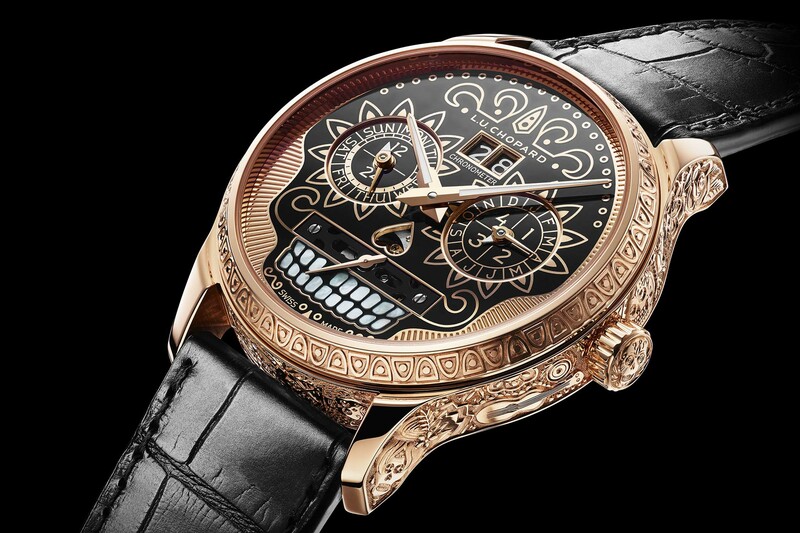 The bridge of the tourbillon can be spotted behind the moustache and the gilded hand of the small seconds counter glides over the Calavera’s teeth and nose. The two suns that represent the eye sockets double up as counters for the perpetual calendar: on the left, the days of the week and 24-hour indication, on the right, the months and leap years. The large twin date aperture is located on the skull’s forehead. 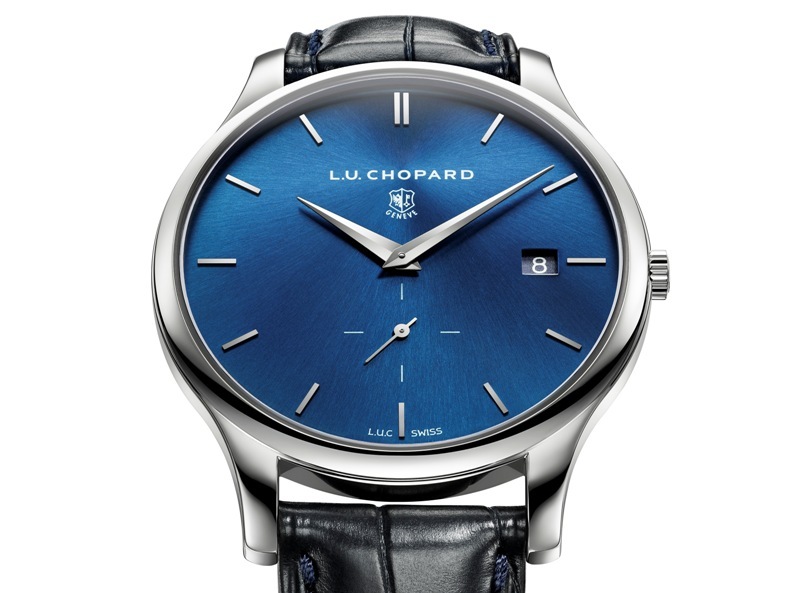 Below the animated dial is Chopard’s manual-winding perpetual calendar and tourbillon complication. 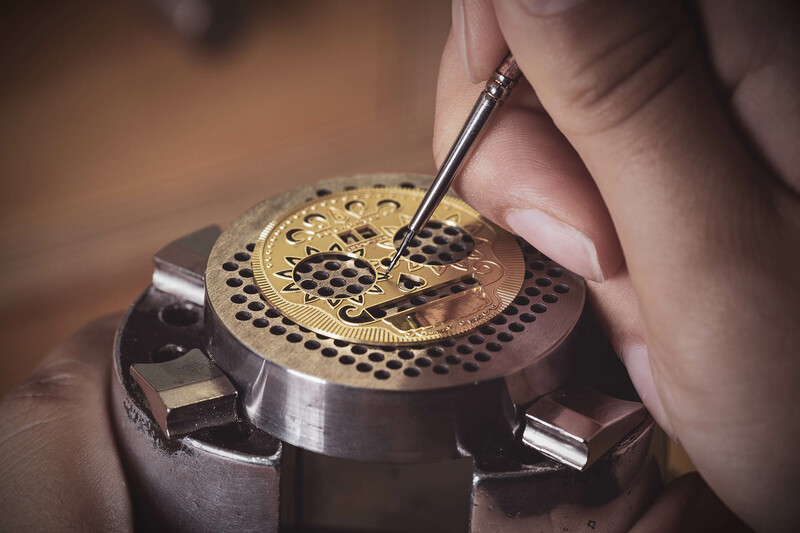 The potent 9-day power reserve is provided by the four barrels of the Quattro system and the chronometric accuracy of the movement is vouched for by COSC and the overall quality by the Poinçon de Genève hallmark. Composed of 353 parts, the movement measures 33mm and features a balance spring with a Phillips terminal curve. 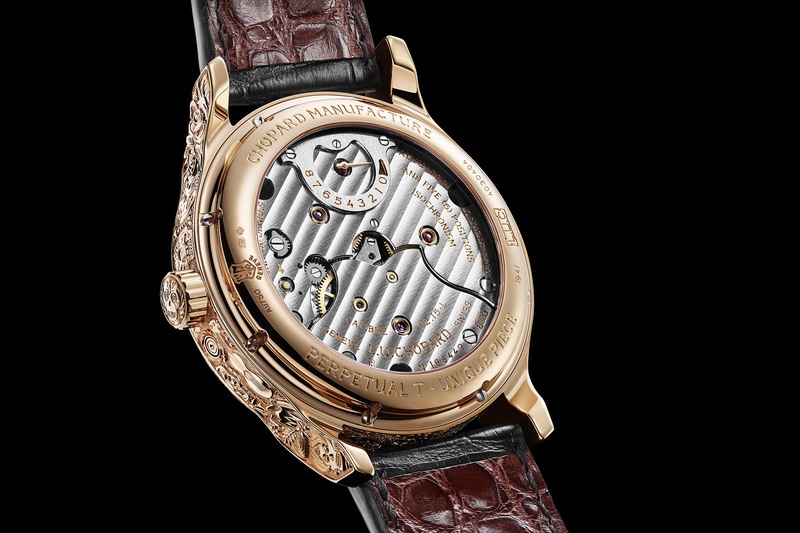 A power reserve indicator is placed on top of the bridges that in turn are decorated with Côtes de Genève motifs. The L.U.C Perpetual T Spirit of La Santa Muerte is an impressively elaborate work of craftsmanship and a harmless horological way to look death in the face. Price on request. 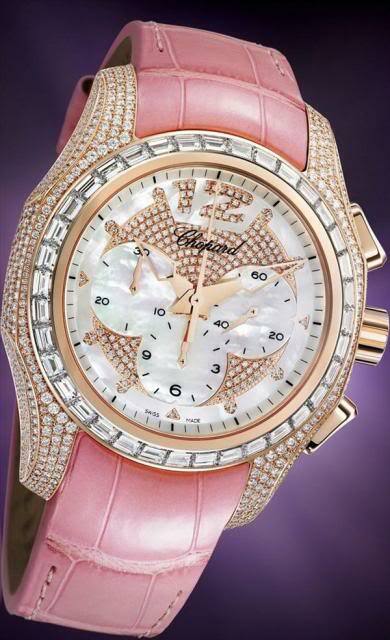 More details at Chopard.com. If I had this watch and an Elvis painting on black velvet I would be set for life. Completely disagree Shirl, this watch is stunning, artful, engaging, complicated, simply wonderful to behold and fully and tastefully in the Los Muertos aesthetic. I love the engraving, and while I as a rule can’t stand rose gold, this color totally works here. 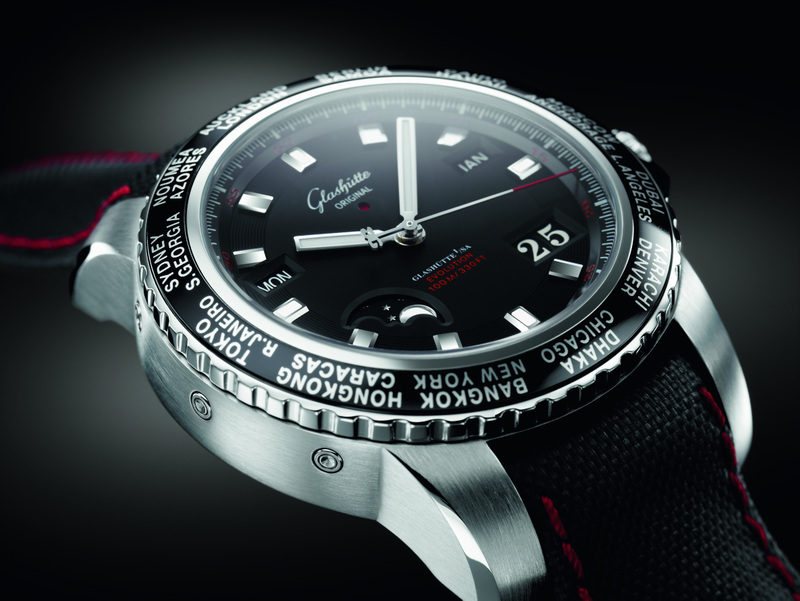 This is a big, beefy show off of a watch, not made for those who are somehow ashamed of their wealth. I find not a hint of kitsch here, only great presentation, amazing craftsmanship and true artistic fealty.